The wildfires currently ravaging California have left a trail of death, destruction and devastation in their wake. 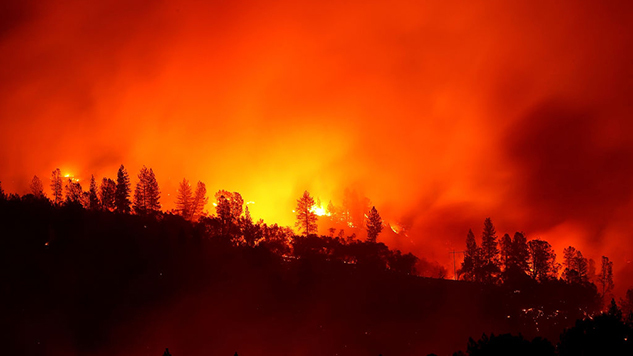 From the hellish situation in Paradise to the fires currently raging in Malibu, people across the state have been forced to leave their homes and possessions behind to find safety. Miley Cyrus’ house was also destroyed, according to a tweet from the singer. “My house no longer stands but the memories shared with family & friends stand strong,” Cyrus said of the house she shares with fiancé Liam Hemsworth. Cyrus’ one-time VMA dance partner Robin Thicke also lost his home to the fires. Thicke praised firefighters in an Instagram post, saying, “they risked their lives trying to save our home. Kevin Parker, frontman of Tame Impala, posted a picture on Instagram of the house in Malibu in which he was recording. The house, along with most of Parker’s equipment and instruments, burned down, according to the post, with Parker making it out with only his laptop and his Hofner guitar. Fred Durst and Wes Borland of Limp Bizkit were both affected by the fires, as well. 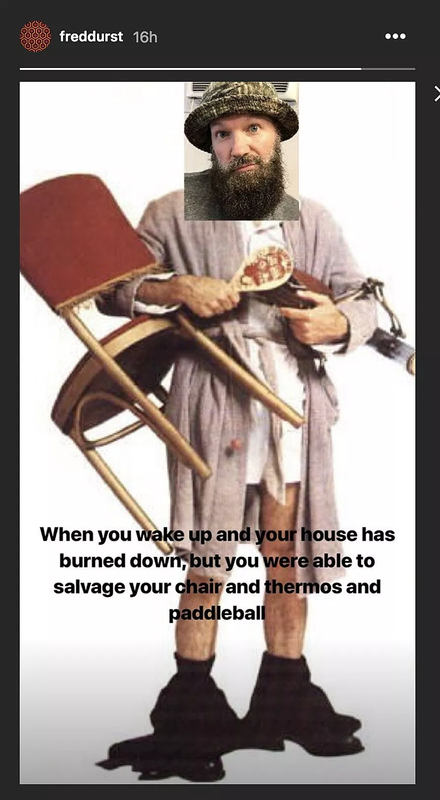 Durst responded to the situation with a sense of humor, posting to his Instagram story (captured via Metal Injection) a photoshopped image of himself that said, “When you wake up and you’re house has burned down, but you were able to salvage your chair and thermos and paddleball.” Borland, on the other hand, posted a video of a house burning on the news, lamenting the “pedalboard, 2 guitars, 2 amps, a 2×12 cabinet, several other pedals and misc equipment” that were inside. It’s unclear whether the house was Borland’s or Durst’s. Flea of Red Hot Chili Peppers reported that his house was nearly destroyed by the fires as well, thanking a neighbor for preventing its destruction. Many more musicians have been forced to evacuate, including Lady Gaga, Kanye West, Iggy Azalea and more. It remains to be seen if their houses will survive the fires. Listen to a 1997 Young performance from the Paste archives below.